What is a virtual card? Businesses have to purchase items and services to keep their operations running smoothly. Today, many businesses make online purchases, spend money on procurements, pay utilities and engage in many different types of expenditures across departments. The internet has made cards a target for thieves. When you enter your card information online, hackers might be able to steal the data and make purchases with your card. A virtual card is a good solution for small businesses because it assigns a random number that is used once and that changes with each use. The number represents your card, but it is not useful to hackers and thieves. This can help to protect your business from external thefts. There are many different types of virtual cards that are designed for different purposes and for businesses of different sizes. Virtual credit cards are simply numbers that are issued by the credit company that allows companies to make one-time purchases but cannot be traced back to your card or to your business. This helps to prevent online thieves from accessing your money or your information. Virtual pay cards can also be used by employees within a single department that has a card issued to it for certain expenses such as travel. The employees can then use their virtual debit cards to pay for their allowed expenses. The cards may also be procurement cards to pay invoices. Procurement cards can be allocated individually to each supplier so that it is easy to track the expenses from that particular entity. Large companies and growing businesses may benefit by choosing virtual ghost cards. These cards are scalable and able to grow along with your company while allowing you to manage expenses across numerous departments in your business. With virtual pay cards, a unique number may be assigned to individual employees or to individual suppliers. When purchases are made, they are then trackable back to the employee or the supplier so that they can be more easily tracked. 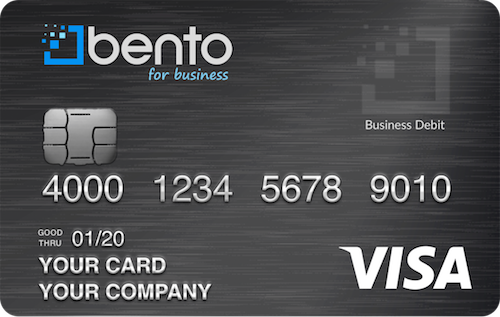 The virtual debit cards at Bento for Business allow small business owners to assign cards to individual employees with purchase controls and expense tracking features on each card. Ghost cards are a good alternative to other expense systems for businesses that are growing or that are large. These cards have a virtual number that is assigned to different departments, allowing employees in those departments to make purchases that are then charged back to the specific departments. This can be a good choice for businesses that have to track and manage expenses across numerous departments. Bento for Business also offers ghost cards that are designed for growing businesses and larger companies that need to be able to track many different types of expenses. Procurement or purchasing cards, or P-cards, are used by businesses to allow their employees the ability to make certain types of purchases without having to go through the business’s normal purchasing process. Companies are able to place limits on the P-cards by the month or by the amount to limit how much can be spent by employees on the cards. Virtual debit cards can be used in a similar manner to p-cards. Business owners can designate specific categories of spending on each of the cards from companies like Bento for Business according to individual suppliers or employees so that invoice management is much more straightforward and simpler. What are the benefits of using a virtual card? Virtual cards offer multiple benefits to businesses. 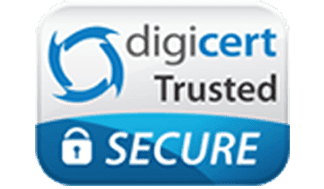 They offer greater security and protection to businesses because the numbers cannot be tracked by hackers back to the business’s accounts or to the business itself. Business owners may also use the cards to restrict spending by categories and by amounts. The employees may use the cards to make purchases for the business but be unable to access cash with the cards or to make unauthorized purchases for their own uses. The cards also are integrative and offer real-time monitoring so that business owners can identify misuse and stop fraud quickly. Virtual debit cards are excellent tools that small business owners can use for better expense management and fraud prevention. What businesses use each type of virtual card? Different businesses may choose to use virtual debit cards for individual employees versus ghost cards that are assigned to departments within the organization. Larger organizations may derive more benefits by choosing virtual ghost cards than by choosing virtual pay cards because the ghost cards can allow them to track expenses by the individual departments. Procurement cards may be better for smaller businesses because they can be given to individual employees to make purchases that are needed so that they can complete their job duties. For example, a roofing company might give individual employees cards that can be used to procure roofing supplies for contracted jobs but can’t be used to purchase other items like food or entertainment. Why are virtual card popular in business? Cards that are virtual may appeal to businesses for multiple reasons. They may allow greater purchasing controls and real-time monitoring of spending by checking the dashboard. The ability to limit spending categories and the amounts that are available on each card can help companies to prevent fraud and waste. Since the numbers cannot be traced back to the business’s accounts, online thieves may not find them to be usable to perpetrate online thefts. The debit cards from Bento for Business also are generally better than business credit cards. Credit cards for businesses may come with high rates of interest and significant annual fees. Making purchases on business credit cards may also quickly increase your company’s debt, and they may not be immune to attacks by internet thieves or from abuse by employees. Debit cards that are virtual also will not depend on your credit or cause your personal credit to take a hit when you apply because they do not require a credit approval process. What situations are best suited for a virtual card? Numerous situations are well-suited for using cards that are virtual. Anytime you make purchases online for your company, using a random number that is linked to your card but that changes can help to protect your company from thefts. They are also great choices for procurements. Virtual procurement cards can be issued to individual employees to make designated categories of purchases within the restrictive limits that you set. How long does a virtual card last, and can the duration change? Different types of cards that are virtual last for different durations. One-use cards are random numbers that last for a single purchase or to make a virtual payment to a supplier. After the number is used once, it will no longer work. There are also multiple use cards that are real plastic and can be used over a longer time period. These are cards that you can issue to individual employees to make purchases over a time period that you establish. Ghost cards can be issued to departments within your organization for an ongoing time period so that you can track expenditures over a long time period. Is a virtual card safer than a traditional credit card? The economy is growing, and businesses are feeling much more confident. The National Small Business Administration reported in its year-end report in Dec. 2017 that 84 percent of small businesses are confident about the long-term outlook of their businesses. This was an increase of 12 percent from July 2016 to Dec. 2017. 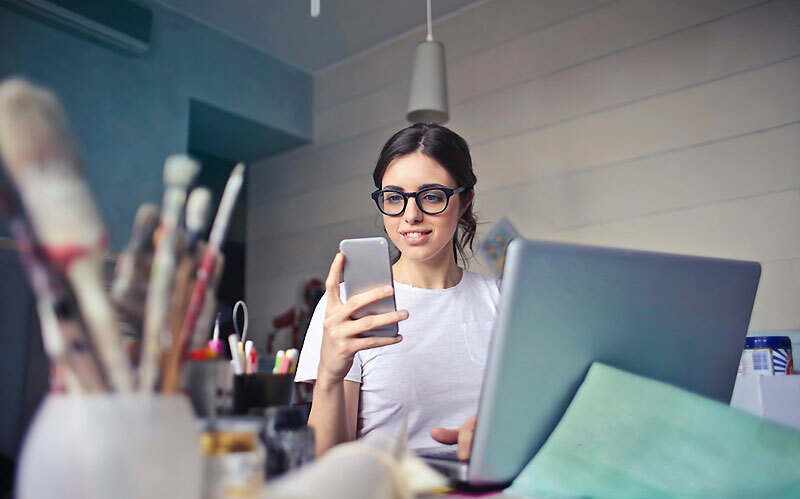 While the economy might be growing, and business may be good, it makes sense to choose a card that is virtual over a traditional business credit card. Credit cards are more difficult for small business owners to get unless they have been in business for several years and have excellent credit histories. They are also more susceptible to fraud. When fraud occurs, it can cripple a small business and cause it to fail. How can a virtual card help reduce fraud risk? The debit cards from Bento for Business are good virtual solutions to help to prevent fraud. Businesses fund the individual cards from their accounts and can place restrictions on the amounts that can be spent, the times when the cards can be used and the types of purchases that can be completed per card. The company’s debit cards for businesses allow business owners to monitor the spending 24 hours per day from their dashboards. Individual cards can be turned off by clicking a button if any problems are identified. The data on the cards is integrated with your company’s account so that it can easily be downloaded directly into your accounting program. More companies are choosing to use debit cards that are virtual so that they can have better spending controls and stop fraud before it starts. Businesses of all sizes that are using antiquated payment and expense tracking systems should start investigating virtual cards now as a potential solution. Bento for Business is focused on helping businesses to grow and to have better expense management tools so that they can prevent fraud. Bento for Business is well funded and has excellent ratings in the financial industry, helping businesses to feel secure in doing business with them. To learn more about the benefits of virtual pay cards for your business needs, call us today at 866.220.8455 or sign up for our free 60 day trial.